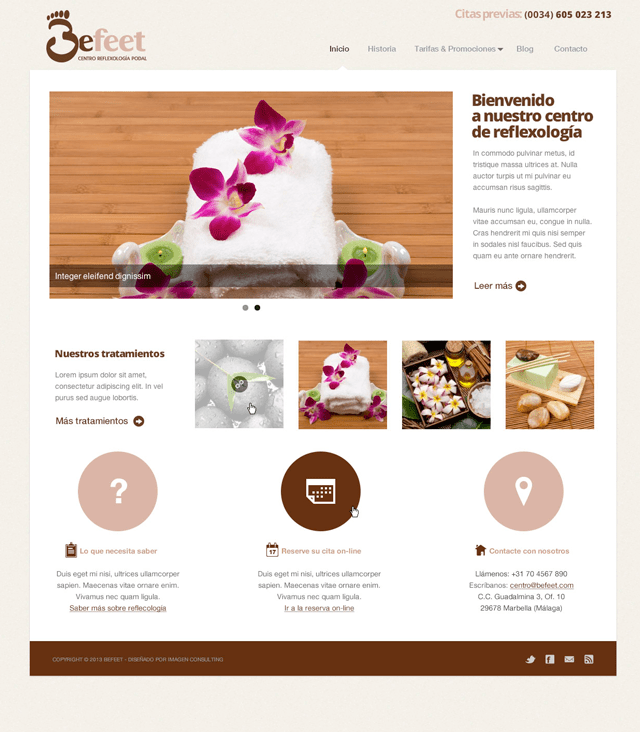 We designed and pre-optimized a web for the new holistic center Befeet, located in Guadalmina offering services such as pilates, yoga, reflexology, lymphatic drainage or ayurveda. Since the beginning of the project, the clients made ​​clear that they didn't want an image of a center of "healing", related with "mysticism", ideas that are often associated with this kind of companies. For this reason, we focused on one of its major services such as reflexology, relying on a minimalist web design, far from any mystical image.